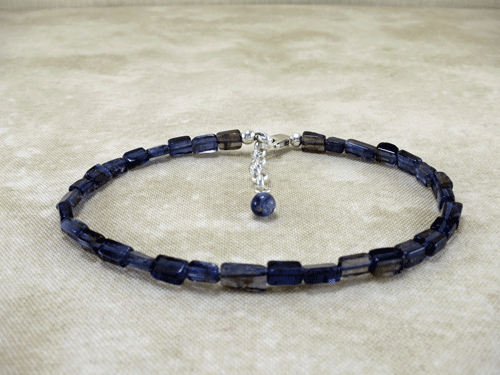 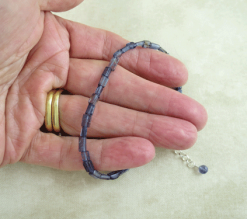 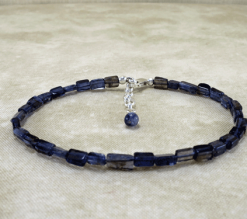 This iolite bracelet is, in a word, lovely! 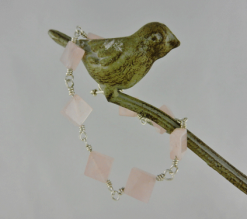 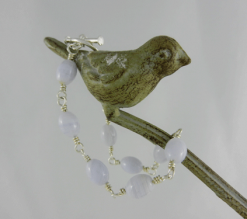 The various shades and sizes of rectangular beads make for an eclectic look. 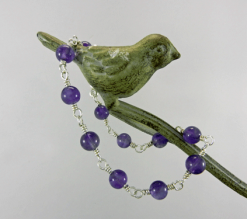 These gemstone beads are delicate and variegated, and would look fabulous layered with any number of other styles. 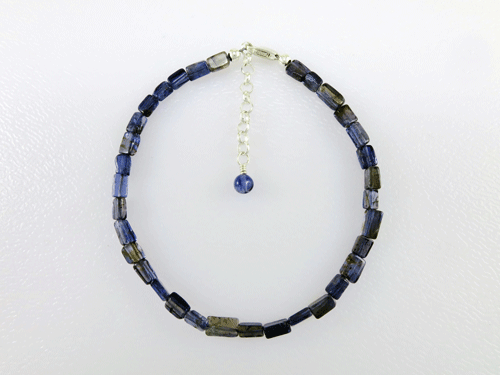 Iolite ranges from sapphire blue through violet blue all the way to light blue. 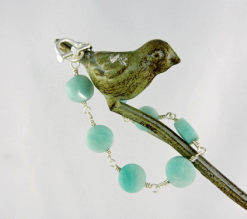 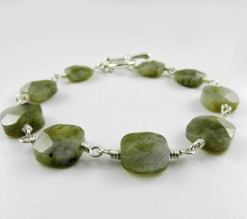 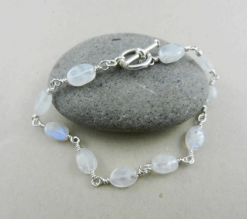 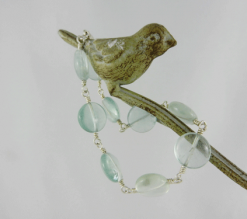 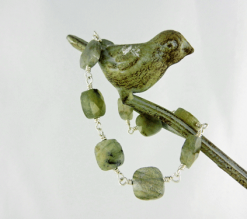 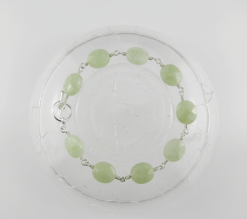 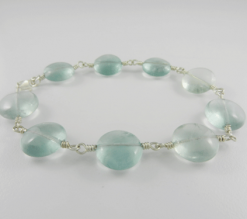 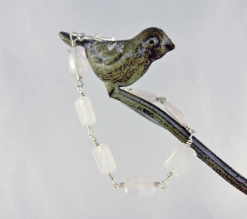 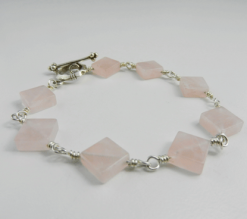 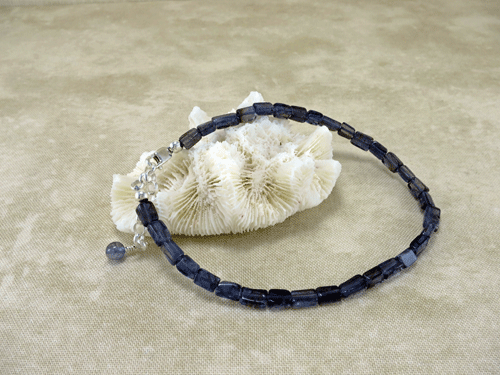 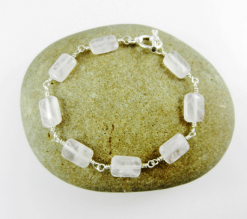 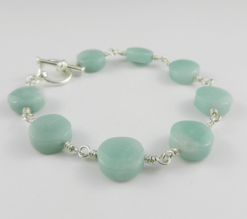 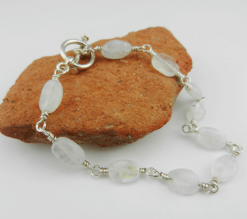 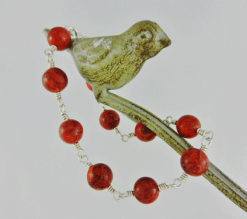 Minimalist in nature, this little gemstone bracelet would enhance any place, any style! 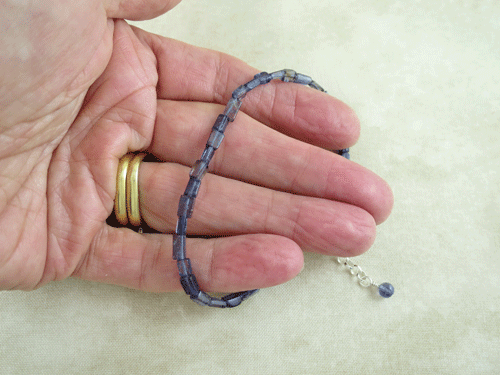 Bracelet measurement includes beads and clasp. 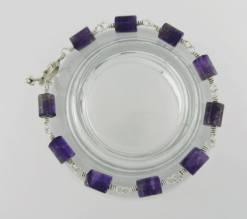 In addition, there is a 1″ (2.5 cm) extender chain to allow for a more relaxed fit. 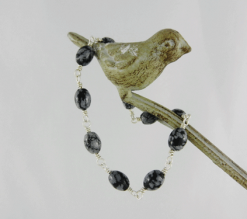 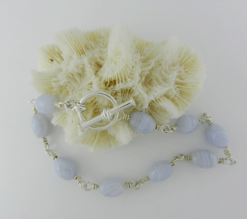 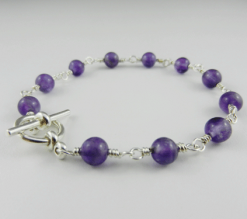 The sterling silver extender chain is finished off with a small, round iolite bead. 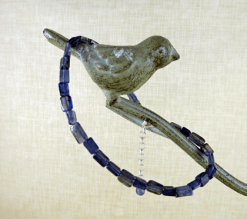 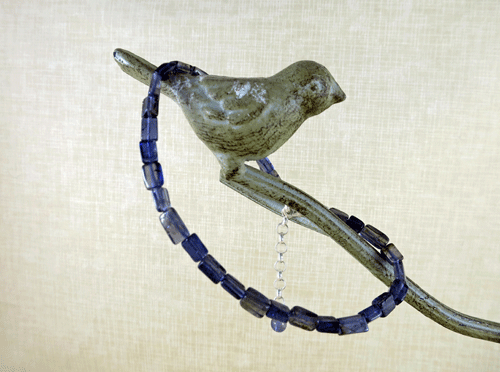 Iolite is said to be the stone of muses. 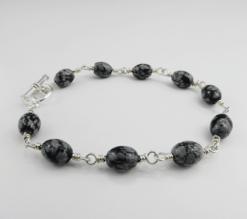 ● All Silver Echoes bracelets are made of high quality materials. 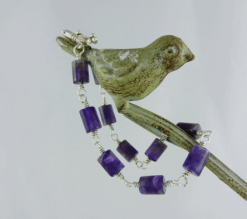 ● I use solid .925 sterling silver wire and solid .925 sterling silver fasteners. 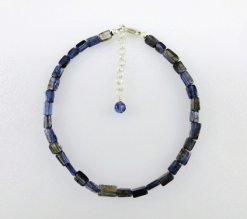 ● All gemstones are genuine semiprecious stones that come from our earth. 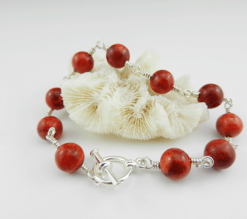 ● Most of my bracelets make an excellent addition to the multilayered look. 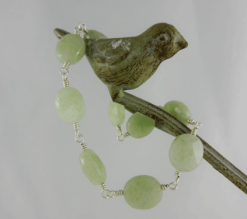 ● Gemstones have some awesome metaphysical properties and qualities. 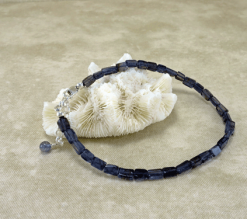 ● Your bracelet will arrive gift wrapped and ready to rock.